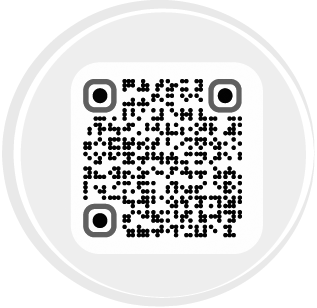 Morocco (the full Arabic name is Al Mamlakah al Maghribiyah which translates into "The Western Kingdom" ) is located on the North West coast of Africa and has ports in the North Atlantic Ocean as well as the Mediterranean Sea. It is the third most populous Arab country. Morocco shares the largest part of its border with Algeria to the East and Western Saharah to the South. 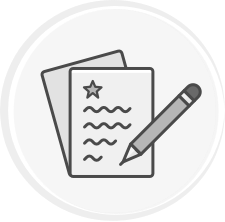 The capital of Morocco is Rabat and its largest city is Casablanca. 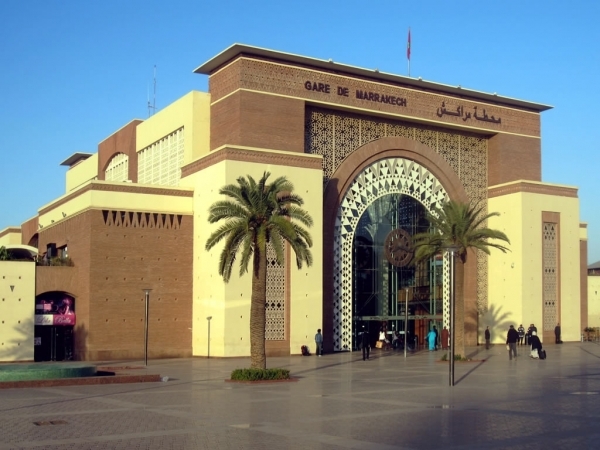 Morocco has an excellent railway network which extends south from Tangier to Marrakesh and east to Oujda on the Algerian border. 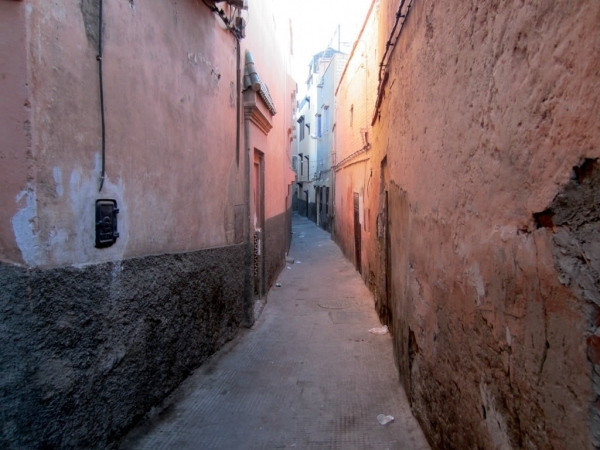 A street in the old medina of Marrakesh, Morocco. 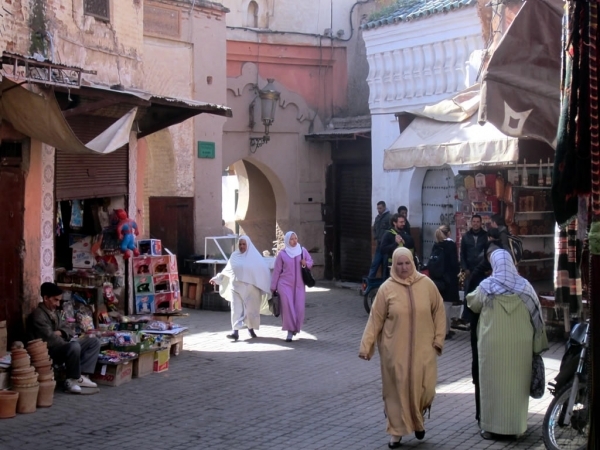 Much of the old town or medina of Marrakesh, Morocco, is inaccessible to vehicular traffic. 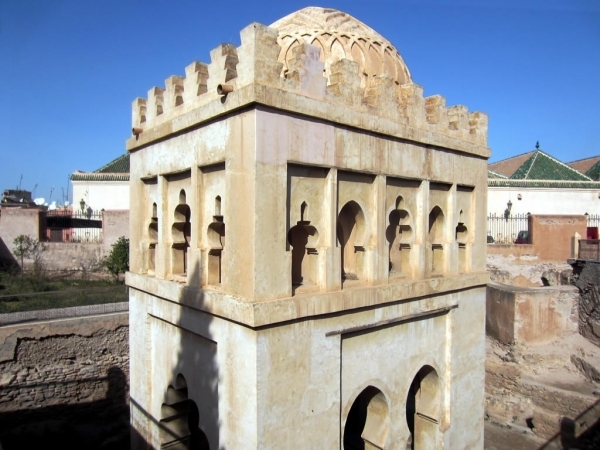 The Koubba Ba'adiyn in the medina of Marrakesh, Morocco, is one of the few surviving vestiges of the 12th century Almoravid dynasty. 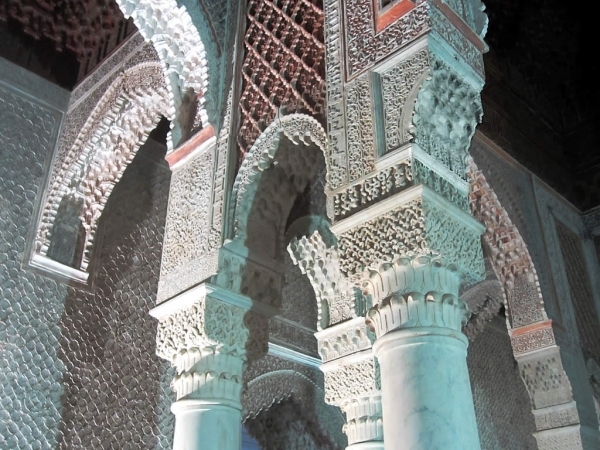 A detail of the 16th century Saadian Tombs in Marrakesh, Morocco. 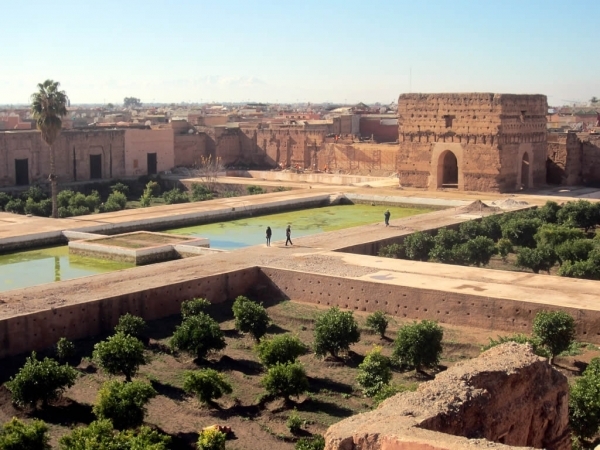 Ruins of the 16th century Palais el-Badi in Marrakesh, Morocco. 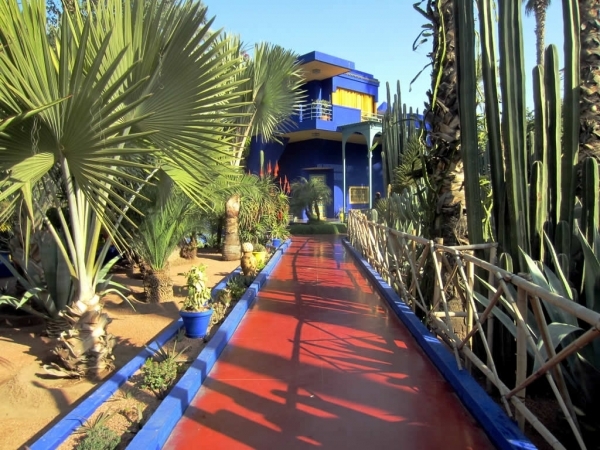 The Jardin Majorelle at Marrakesh, Morocco, has been developed over the years by Jacques Majorelle, Pierre Berge, and renowned French fashion designer Yves Saint Laurent. 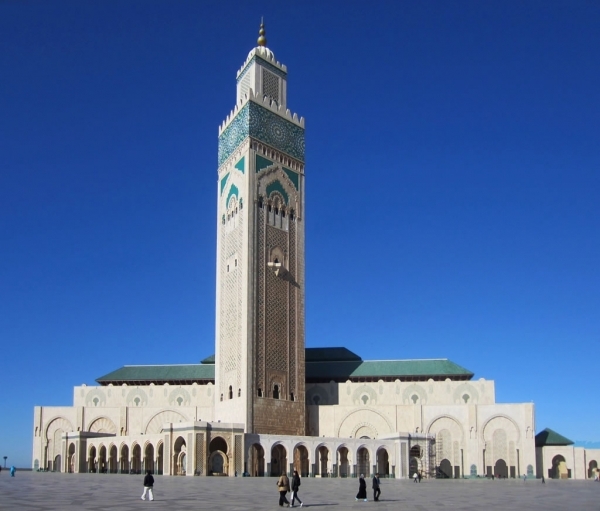 Erected in 1993, the Hassan II Mosque in Casablanca, Morocco, has the tallest minaret in the world. 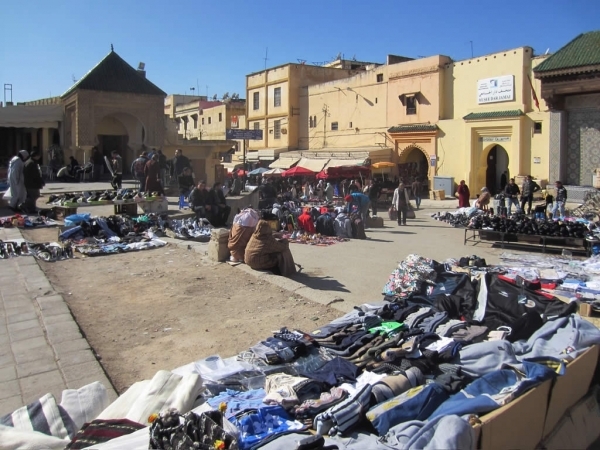 Place el-Hedim at Meknes, Morocco. The portal on the right leads into the Dar Jamai Museum. 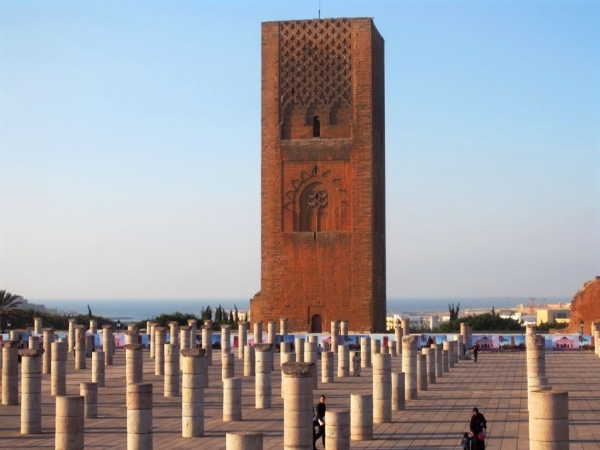 The unfinished Tour Hassan (1195) at Rabat, Morocco, is a classic example of Almohad art. 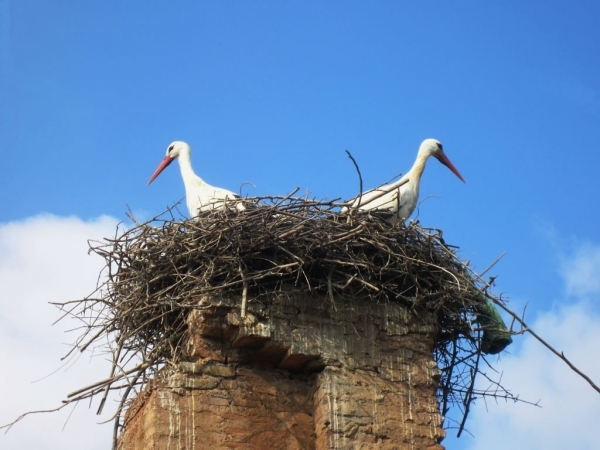 A large colony of storks inhabits the ancient Chellah ruins at Rabat, Morocco. 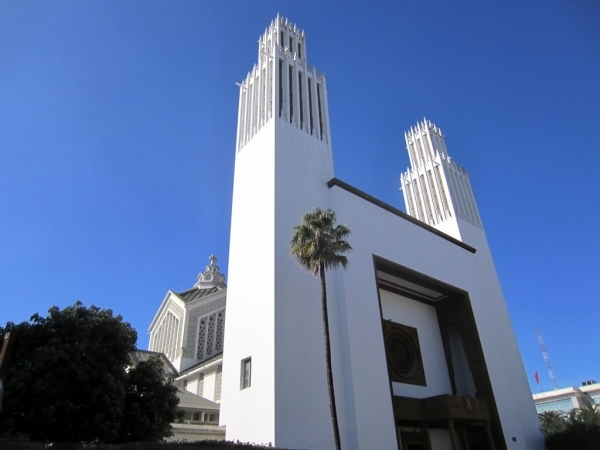 St Pierre Cathedral in Rabat, Morocco, is a vestige of French colonial rule which ended in 1956. 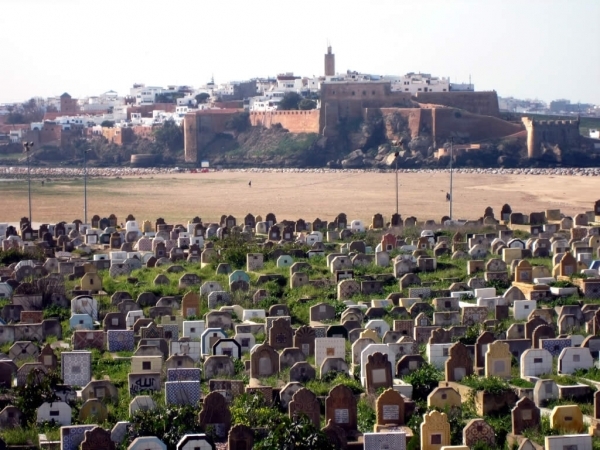 The Kasbah des Oudaiais at Rabat, Morocco, as seen from the vast Islamic cemetery in nearby Sale. 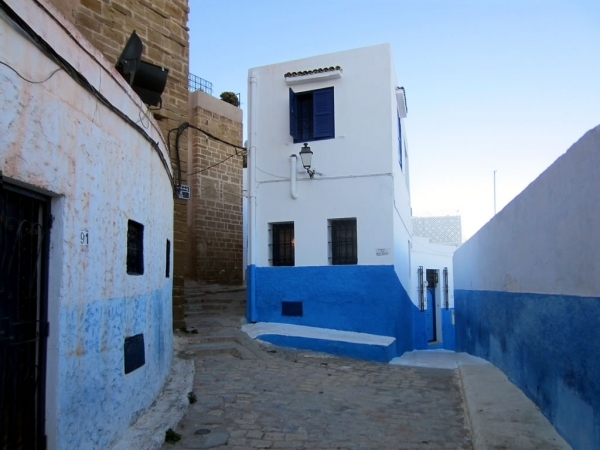 A street in old Kasbah des Oudaiais in Rabat, Morocco. 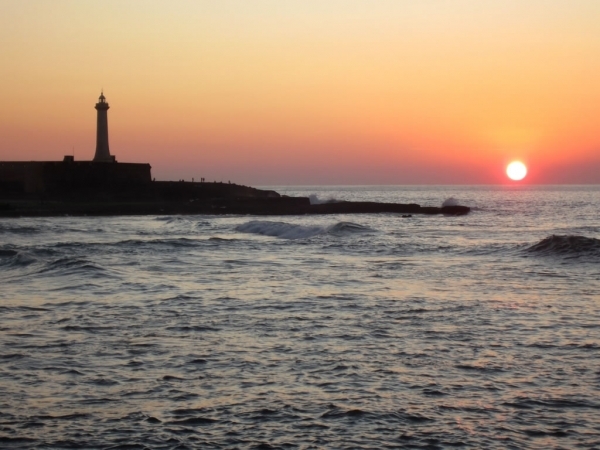 Sunset over the Atlantic Ocean at Rabat, Morocco.